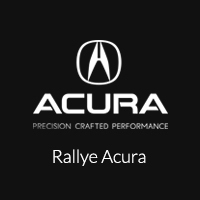 In appreciation of your military service, Rallye Acura proudly presents the Acura Military Appreciation Offer. $750 toward any 2019 or newer model year Acura when you finance or lease through Acura Financial Services(r)(AFS). Spouses of a member of the U.S. Military must provide proof of relationship by presenting a Military ID and provide spouse’s LES. Only a copy of the LES will be retained by the dealership for verification. Eligibility is based on approved credit. Lease: $750 is applied toward the cap cost of vehicle. Monthly payment and total due at lease signing are calculated after $750 reduction. Purchase: $750 is applied toward the down payment. This offer can be combined with all other Acura Financial Services programs, except the Zero Due at Signing Lease program. Offer valid through March 31, 2020.